We have been studying the life cycle of frogs, plants, sea monkeys (brine shrimp) and butterflies. We read about, watched some youtube videos and create artwork about the frog's life cycle. 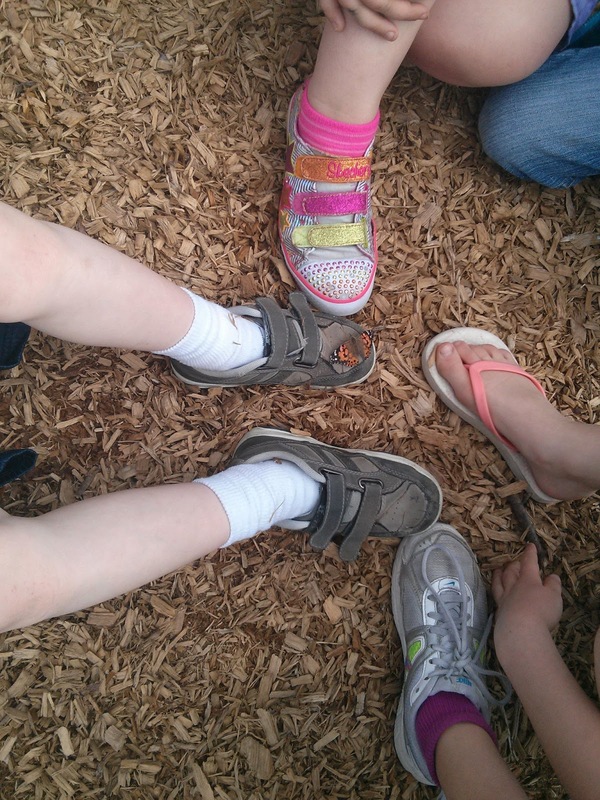 We read about the life cycle of plants and trees. First graders searched pictures of the stages of plants and trees and created a pic-collage of their learning. We have been observing sea monkeys for a couple of weeks. 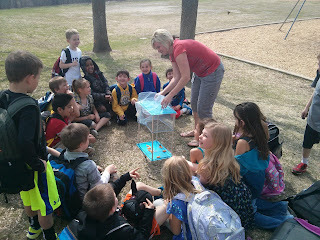 We saw them as eggs, watched them hatch with magnified glasses and are now able to watch them swim with our own eyes. Finally, we have had the most fun watching our catepillars (larve stage) eat until they fattened up, create cocoons around themselves (pupa stage.. which I forgot to photograph) and hatch from their cocoons into beautiful butterflies (adult stage)! 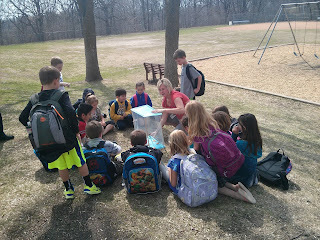 We took our butterfly cage outside today and released all 5 of our butterflies. 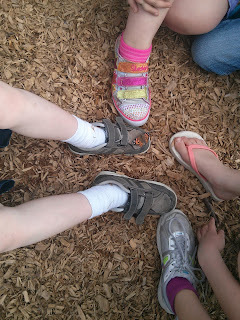 A few of them decided they liked our first graders (and their shoes) enough to stick around for a while! Tomorrow, each student will be creating a pic-collage of our butterflies' lifecycle from our photos we took along the way. Stay tuned for those soon!